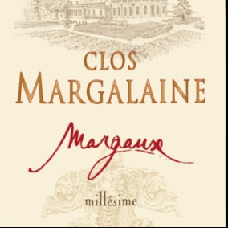 Clos Margalaine Margaux. The assembly of this wine with a higher composition Merlot, seduced by its finesse and elegance. WINEMAKING: Stainless steel vats to 70hl conical frustum, thermo regulated with long maceration. (Duration: 28 to 35 days) pre-fermentation maceration cold for 3 days at 6 °.